Three finalists remain in a renewed search by Brownsville officials to hire a city manager. “I’m very happy to let the public know that the city manager search is coming to an end,” City Commissioner At Large “B” Rose Gowen said. >> and Jesus Garza, the city manager of Kingsville. Brownsville’s hiring committee ranked the finalists based on a scoring system, “and the scores were very, very tight,” Gowen explained, declining to reveal those scores for fairness to the finalists. The next step in the process, Gowen said, would be very similar to the process undertaken by Texas Southmost College during its latest search for a president of the college, which would be to bring the finalists before the community and city leaders for introductions and interviews. All candidates are available Oct. 1-4, Gowen said, and city leaders are expecting to finalize the date for a public meet-and-greet soon. People who attend the meet-and-greet will be able to fill out comment cards. Those cards would be handed over to the city commission, which would meet the following day to privately interview the three candidates, Gowen said. Since January, city staff has been led by Interim City Manager Michael L. Lopez, who was the assistant city manager under longtime City Manager Charlie Cabler. Cabler resigned nearly a year ago in October 2017. In his resignation letter, he wrote he felt the city needed a different direction and that he wanted to be with his mother, who was battling leukemia. 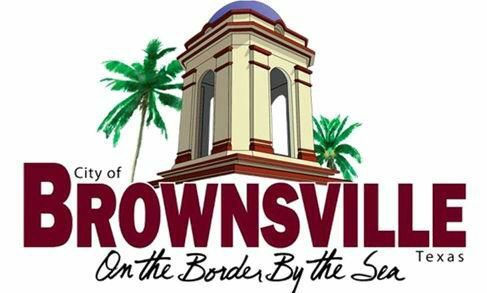 At that time, Brownsville Mayor Tony Martinez said the commission wanted to fill the city manager position efficiently and quickly. According to Gowen, the official search began last year, when the mayor appointed members to the committee to find and recommend city manager applicants to the full board. Appointed to the committee were three city commissioners — Gowen, District 3 Commissioner Joel Munguia and District 1 Commissioner Ricardo Longoria — and representatives from the Brownsville Public Utilities Board, Greater Brownsville Incentives Corporation, Brownsville Housing Authority, Spaceport, Port of Brownsville, Brownsville Community Improvement Corporation and the Brownsville Chamber of Commerce. In December 2017, the city commission approved hiring an executive headhunting firm to help the committee and approved the allocation of up to $150,000 toward paying a search firm, and in January the city inked a $32,500 “fixed fee” contract with recruitment services firm Ralph Andersen and Associates. “We hired a search firm that specializes in city manager searches,” Gowen said. According to Gowen, the committee created a profile of the city and its city manager position that would be shared with potential applicants. “It talked about the vision of Brownsville, talked about the reality that we have a port, we’re on the border, we have a bridge and so on and so forth—and a lot of the challenges that we see looking forward,” Gowen said. “That profile was shared with the city commission. Pictures were chosen and all of that was combined before Christmas into a document that could be shared in order for the search firm to recruit candidates. “That recruiting began in late January,” Gowen added. The recruitment firm said searches usually take 90 days to compile a slate of candidates, Gowen said. “That was true,” she said, explaining that the search narrowed to four finalists, before two applicants withdrew their applications, forcing the search to begin anew in July. The two finalists to withdraw appeared to do so based on incentives to stay in their current positions. McAllen city commissioners offered their city manager, Roel “Roy” Rodriguez, $25,000 to withdraw his application, according to The Monitor. The other candidate to back out, Roberto “Rob” Hernandez told the Herald that he decided to withdraw his application and stay in his current city manager role in Savannah, Georgia, after his own city commission supported him amid public backlash involving a new utility fee. The search firm presented a second slate of candidates “about a month ago,” Gowen said. The three finalists were interviewed by the hiring committee in early September. Gowen said the process was in keeping with what would be considered the best practices for a professional search for a city manager: The candidates were interviewed in-person, one at a time, on the same day and each applicant was administered the same questions developed by the search committee. According to the commissioner, some of the questions asked the candidate about issues such as quality of life and economic development or about what they have learned from past failures in municipal government. As the process draws closer to a conclusion, Gowen expressed gratitude and thanks for the work completed by the executive recruitment firm and those who served on the search committee. The city manager position comes with an annual salary of up to $275,000 plus benefits, depending on the candidate’s qualifications, according to a brochure created by Ralph Andersen and Associates. Herald reporter Nadia Tamez-Robledo contributed to this story.